This Wednesday December 29th, the “Real Diehl” with pianist Aaron Diehl and Trumpeter Dominik Farinacci perform live at Becky Ogden’s 5th Avenue Bungalow Jazz Home. Aaron is a Columbus native coming back home from his current residence in New York City to grace the Bungalow with his talents. This will be a very special treat for jazz fans. 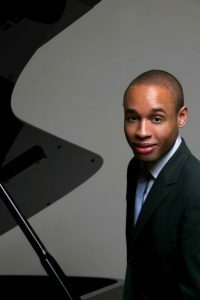 Hailed by the Chicago Tribune as “The most promising discovery that [Wynton] Marsalis has made since Eric Reed,” Aaron Diehl’s distinctive interpretations of the music of Scott Joplin, “Jelly Roll” Morton, Art Tatum, Duke Ellington, and other masters pay homage to the tradition while establishing his own original voice. A native of Columbus, Ohio, Aaron Diehl is a 2007 graduate of the Juilliard School where his teachers included Kenny Barron, Eric Reed, and Oxana Yablonskaya. His honors include Lincoln Center’s prestigious Martin E. Segal award in 2004, winner of the 2003 Jazz Arts Group Hank Marr Jazz Competition, and Outstanding Soloist at Jazz at Lincoln Center’s 2002 Essentially Ellington Competition. Immediately following graduation from high school he toured with the Wynton Marsalis Septet. 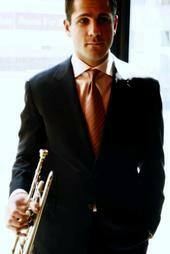 Dominick Farinacci, originally from Cleveland Ohio, has won various awards over the years in the States and in Japan. He received two Gold Disc awards (Record of the Month) from Swing Journal Magazine in Japan for his recordings of “Say It” and “Besame Mucho.” In 2003 he received the International New Star Award in Japan, an honor previously awarded to Diana Krall and Christian McBride. Many of his recordings have placed #1 on the Swing Journal Jazz Charts. In the United States, Dominick was the recipient of the ITG Carmine Caruso International Jazz Trumpet Competition in 2003. At 15, Dominick was “discovered” by Wynton Marsalis in Cleveland, Ohio. Wynton invited Dominick to appear as a featured soloist with the Lincoln Center Jazz Orchestra on a PBS broadcast, “Live from Lincoln Center.” While studying with Warren Vache and Wynton Marsalis at the Juilliard School, Dominick was also featured at Lincoln Center on a tribute concert to Freddie Hubbard and Lee Morgan, “Night of the Cookers.” Over the years he has performed and/or recorded with many high-profile jazz artists such as Joe Lovano, Wynton Marsalis, Ira Sullivan, Mulgrew Miller, Carl Allen, Jason Miles, and Joe Labarbera. Dominick recently signed with The Jazz Tree, a well-known management company in New York City that currently represents Taylor Eigsti, Kurt Elling, Bennie Maupin, and New York Voices; and whose roster of past clients over the years has included Diana Krall, Joshua Redman, Christian McBride, Freddie Hubbard, Tony Williams, Ray Brown and J.J. Johnson. Wednesday, December 29, 8:00 p.m.